I don’t know what you’ve been listening to this week, but on the rare occasions when I wasn’t playing The Hotelier‘s excellent new album, I was alternating between the new Menzingers single and “I Wanna Get Better,” the first song from Fun. guitarist Jack Antonoff’s new project, Bleachers. Conveniently (or not, if you ask my wallet), all three of those artists launched pre-orders for new material this week, and they weren’t alone. The last seven days also saw pre-orders for Oh, Common Life, the third album from Michigan pop punk band Fireworks and probably the most anticipated release of the spring here at UTG, as well as a repressing of The Shins‘ Oh, Inverted World and much, much more. In other vinyl news, Record Store Day 2014 is fast approaching, and new exclusive releases have been announced almost daily. We’ve mentioned a few highlights below, and you can check out the full list of currently announced RSD releases over at Modern Vinyl. 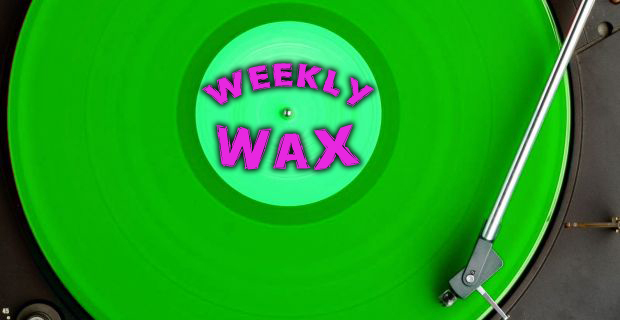 Check out the full roundup of vinyl news from this week after the break, and don’t forget to read our ongoing series of vinyl reviews. Saosin‘s debut EP, Translating the Name, will receive a vinyl release in conjunction with the band’s reunion with original vocalist Anthony Green at this year’s Skate and Surf Festival. Dads will release a new EP titled Woman for Record Store Day. Thursday, Circa Survive, and many more will contribute Nirvana covers to In Utero: In Tribute, due out on Record Store Day.